The importance of digital information is at an all-time high, and nowhere is this more so the case than in the world of business. Indeed, when one considers the fact that 93% of companies that suffer significant data loss end up going out of business within two years after the data loss incident, it is no wonder that more and more organizations are coming to realize the crucial importance of keeping their mission critical data backed up and secure at all times. And, when it comes to maintaining the existence and security of any type of digital information, online data backup is continuing to prove itself to be the most effective and cost-efficient data protection method available today. Protection against the elements: Unlike conventional, onsite backups, storing your backup files at a secure, remote location ensures that this information will be safely out of harm’s way in the event that your home or office suffers the damaging effects of any natural disaster, fire, computer virus attack or physical theft. More advanced data backup methods: Since cloud vendors make it their sole concern to protect the files of their clients, they are by nature IT experts and thus have at their disposal the most advanced data backup technologies around, including data mirroring and file versioning, that are usually not present with the more traditional forms of backup. Increased data security: During the online data backup process, copies of the files to be backed up are generally encrypted at the source before being sent over the Internet to the cloud vendor’s secure servers. This encryption ensures that creating a copy of your company’s confidential files will never increase the likelihood of their security being compromised as a result. Automatic backups: Most high-quality online data backup service providers offer fully-automated backups, which serve to both increase the real-time, all-inclusive nature of the backup procedure, and to eliminate the possibility of human error ever getting in the way of the backup process. Increased mobile data accessibility: Backup copies of digital information that are being stored in the cloud can be made accessible from any location that has access to the Internet, serving to vastly increase data accessibility in general, and the ease with which collaborative projects within the organization or with other business partners can be performed as well. Ease of compliance: The quality of online data backup service providers is held to high standards, and thus by taking advantage of cloud services your company’s IT systems will also be adherent to these same rigorous standards as well, with the existence of a secure data backup system guaranteeing that your company’s important information will always be available to comply with all legal and accounting regulations. Advanced prioritization of data: The speed at which lost files can be restored over the Internet is unfortunately limited by the amount of bandwidth that is available at any given time. To get around this restriction, the prioritization and classification of data as to its relative importance is often performed, which in turn helps organizations to more thoroughly understand which of their files are the most important, and also how efficiently they are leveraging their digital assets in the first place. Increased protection of mobile digital devices: With more and more businesses ridding their offices of desktop computers and relying increasingly on mobile devices for their employees to access and store company information, automated cloud backup processes serve to ensure that these devices will always be continuously backed up and secure whenever they are at any location that has access to the Internet. 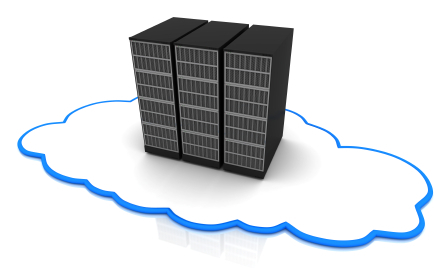 Cost-effective, highly-scalable pricing: Online data backup and cloud computing service providers often charge for their services using highly-scalable, “pay-as-you-go” pricing structures, which allow businesses to rest assured that they are never paying more than absolutely necessary for their online backup and cloud IT needs. Peace of mind: In addition to all of this, by taking advantage of cloud backup services, businesses can benefit from the peace of mind of knowing that they will always be backed up and secure, with this confidence then allowing them to further increase their focus on all of the other critical elements that go into the running of their organization. For all of the above reasons and more, we here at KineticD are proud to have been providing our cutting edge online data backup and cloud computing services for over a decade now, and all the while having maintained our 100% data recovery track record for all of our clients. With our airtight data security, patented Continuous Data Protection process and over 60,000 satisfied business users worldwide, we think that you’ll like what KineticD can do for your company’s cloud IT and online data backup needs. To find out more about what the KineticD Advantage is all about, please stop by KineticD.com today!